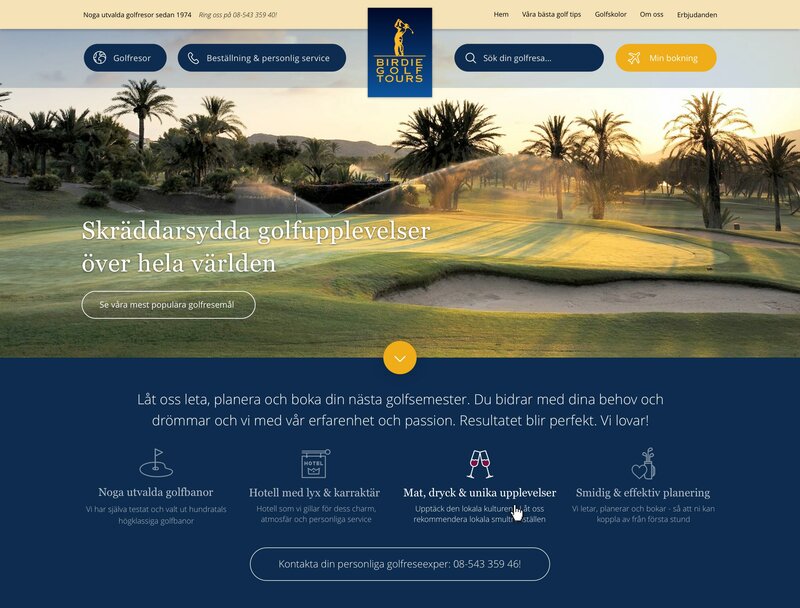 Birdie Golf Tours hired me and my colleagues in Whiteport to help them increase conversion rate of requests and bookings, and to articulate the message Birdie wanted to say regarding their product. We wanted to establish long lasting relationships with the end customers by including every little detail in the trip planning. 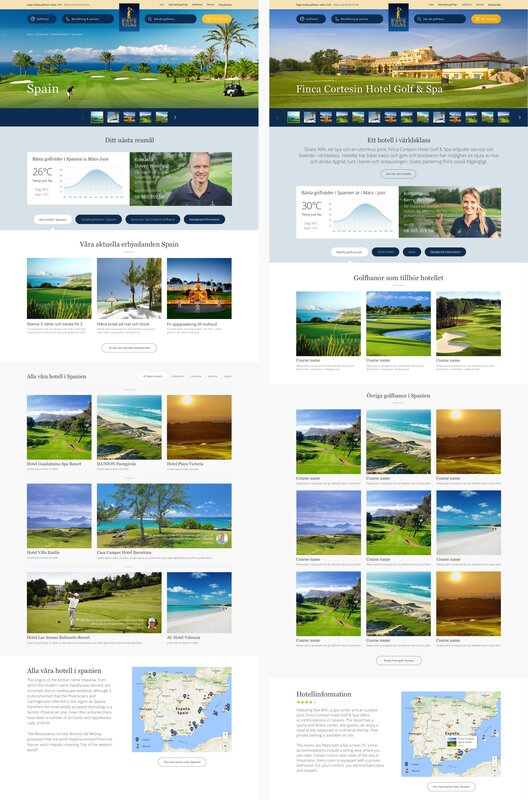 My primary role in this project was as a visual designer, but I was involved in creating the actual user experience on these pages as well. 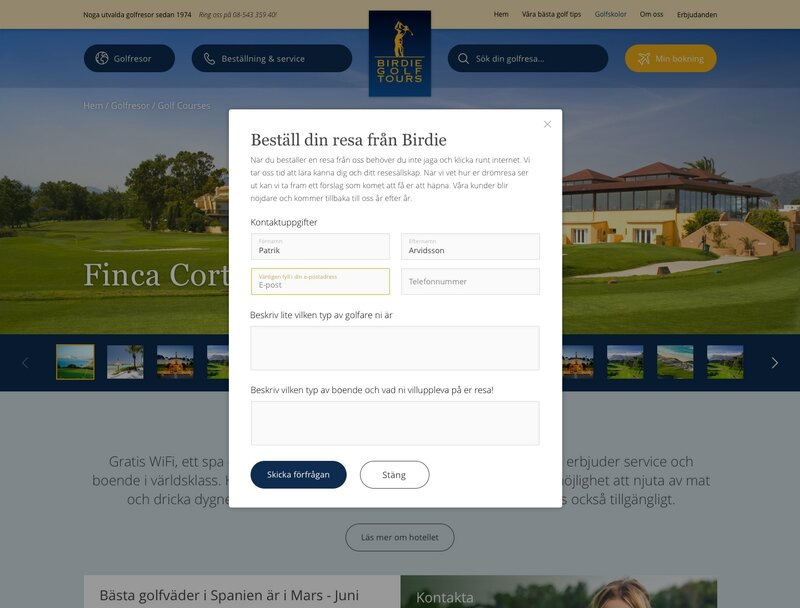 We wanted to ensure that the customers understood that this was an exclusive service and that all of their needs would be taken care of should they book a trip, so it was important to push towards displaying this information in a simple and elegant way. We delivered a minimalistic header with links to countries, service and the option to search for anything. Below the large photos that showcased the golf-courses we gave more information about what it means to book a trip with us. For the customers that normally scrolls the website we offered additional gateways to advance in the booking flow. 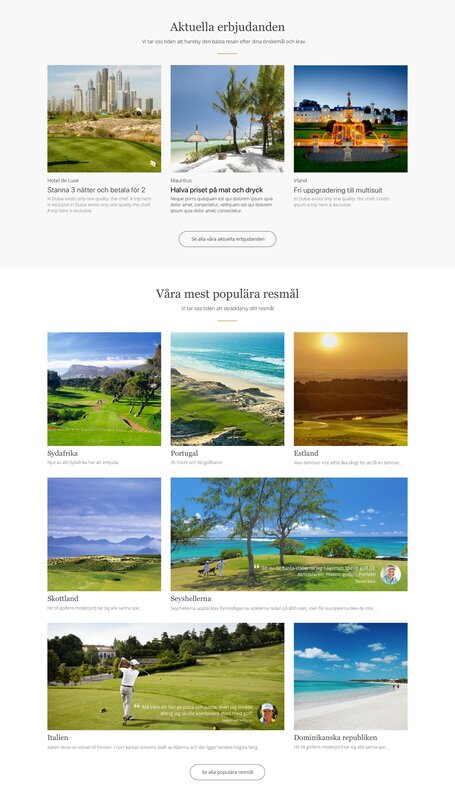 These pages gives an easy access to a lot of information regarding hotells in the active region and information about the hotel you're visiting. The booking window is easily accessible by opening a lightbox.